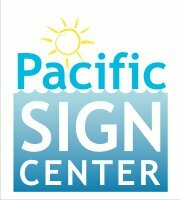 For over 25 years, Pacific Sign Center has been providing signs and services to the people and businesses of Southern California (and beyond). That longevity is due to the strong relationships we have with you, our customer. We genuinely care about you and we\'re not happy until you\'re happy with your signs. That\'s why we are driven to exceed your expectations.